There aren’t many players on the Cleveland Cavaliers who get the same coverage as LeBron James, Dwyane Wade or Kevin Love. While the All-Stars deserve the attention, there are others who put in just as much as work. 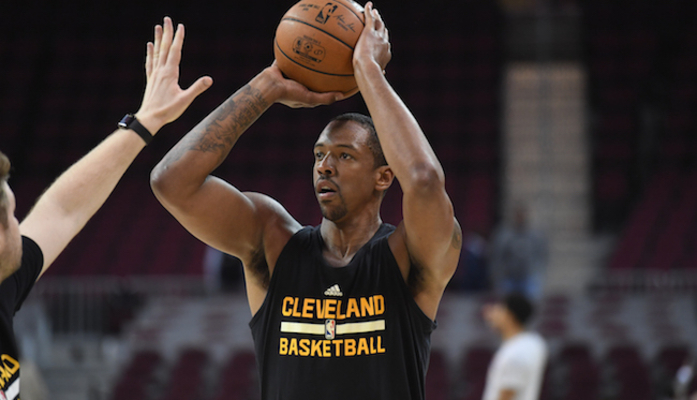 Perhaps one of the hardest working players is Channing Frye, who gives the Cavs a nightly punch off the bench. Yet, with all the additions to the team this year, the big man has seen his numbers sink from 9.1 points a game last season to a near career-low 4.5 points this year. Still, the 6-foot-11 forward is finding ways to make himself useful on the floor and contribute to winning. Although the 12-year pro has been known for his superior three-point shooting with an average of 38.8 percent from downtown for his career career, the big man is sacrificially finding different ways to impact the game. Though the Cavs hit a whopping 20 triples against the Atlanta Hawks on Tuesday night, Frye didn’t contribute to that total at all. In fact, the three-point specialist didn’t even attempt a shot behind the line. The Cavs take on the Los Angeles Lakers next on Thursday night shortly after 8 p.m. ET.